Forex Trading – with a little help from me. Let me help you in Forex Trading for free. No hidden fees. Making money when the market is going Up or Down. If you trade the stock market you are waiting for the price to go up. But in Forex Trading you can make money when the market is going down as well. That’s what I like about Forex Trading. Making money when it’s going up or down. If you haven’t been trading Forex before or just want to know a little more, then let me help you get started for free. No hidden fees. Nothing at all. Just free. Yes, a lot of people always say I am too kind. But that’s the way I am. I like to see people grow their accounts. And I am here to help out. Forex Trading is really easy when trading the way I do. You don’t need to know anything at all about trading if you follow my steps. And I will guide you through it when you want help. All for free. I have helped friends and family and others to learn more about trading. And now we help each other in trading. I have different strategies and there is probably one or more that will work for your lifestyle, whether you want to sit in front of your computer and watch the charts all day long or if you want a robot to make automatic trades for you even when you sleep or maybe you just want to check the charts once a day when you have the time. Well, I have different strategies and probably there is at least one that will work for you. I have now released my Automatic Trading Signal Service as an add-on. Check them out if you want someone to take care of the trades for you. I use special trading robots to control the trades for myself and the people copying the trades. I have also added a protection recovery system to this if things would go wrong. I have seen too many pages on the internet where I actually signed up myself and then I had to buy this or that to actually get what they promised. I hate that. So I started this web site to help people in Forex Trading and hopefully you will avoid the bad stuff I made on my way here. I’m not a full time trader and I’m no expert. I’m just doing this in my spare time and most of the time I have Trading Robots running my trades, but I like to watch and follow their trades, so I keep watching the trades in my smartphone every now and then. Just because I like it. It’s nothing you have to do, but it’s fun. And I hope I can help out so you don’t make the same mistakes I did before I ended up here with something that I think works for me. When you join me as a fellow trader, I will give you some of my trading robots. You will also get my Trading Signals that I send to my traders when I take a trade. And you will save a lot on those things just by joining my team. For regular users the robots are available for €199 each and the Trading Signals subscription fee is €30/month but of course you can try them before you subscribe to them. Check out more info about the Trading Signals from the menu. But you can get my robots and settings for free! No hidden fees. Just free, free, free! The only thing you need to trade is to open a Forex account with a good broker. So I have attached a link to the broker I prefer below. And I have tried several brokers. So sign up with them and then I will be here to help you start trading and try to find the type of trading that works for you. I will guide you along the way and make sure you will be up and running with your trading. And if you sign up from my link below you will automatically be my fellow trader. The broker will give me a little bonus when sending people to them as a thank you for bringing them new customers (but it’s nothing you need to pay anything extra for). They are a True ECN (which is what you should look for) and they are based in Australia, used by many, many traders around the world. They are really great and their support is awesome. And of course it’s the broker I use myself and also many of my friends. And this is also where you can download the trading platform (Meta Trader 4) that I use for my trading, which is also free. 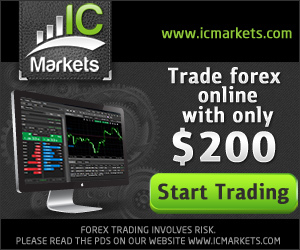 The minimum account to start trading with this broker is $200 or €200 (depending on what currency you prefer). Yes, you need to have some money to start trading with, just like investing in stocks or whatever you prefer. And remember. This is YOUR MONEY. It’s nothing you pay me. It’s the money you start with to make your trades and hopefully the money you will make your account larger every week. So, open up an account with them and start with as much money you think you like to build your trade account with. But like I always say, don’t risk more money than you can afford to loose, since there is no safe way in trading, but the goal is to try to make your money grow of course. And I am here to help you out as much as I can. I prefer starting with at least €500 to be able to follow some large movements in the market sometimes. The currencies we are trading (which is what forex is about) are moving all the time, even every second. My robots are looking for the right moment to take a trade and trying to find the right moment when to close a trade and take a profit. And they will do this on their own for you (if you want to trade with a robot of course). But they won’t win all the time. One day there might be some bad trades and the next day there could be some great ones. But so far most of the trades are winning and €200 (or $200) is working fine to start with for many people following me. And they are happy with the result. Some of them have actually doubled their small account in just two months. So, of course they are happy. And most of them do this with my free help or free trading robots. US Citizens could contact me, since I haven’t found the perfect broker for my strategies that allows US citizens yet. Fill in your name and e-mail on their web site and choose a real Individual Account (True ECN). Then you need to add your address and so on. This is where you should click YES (if you want my free advices in trading). You need to write my Partner ID: 6416 (which is my referring id on their page). They will send me an e-mail telling me that you have signed up with them. I am using their True ECN MT4 account with 1:500 leverage which is what I recommend. Actually I think this is the standard setting when you sign up with them. After you have registered you need to send them proof of who you are. This is all about taxes and legal stuff. You need to send them a photo or scanned id of yourself. A bill that shows your address and finally a photo of the credit card you want to use when starting up your account and when you want to withdraw your money. All this info is also on their web site when you sign up. And this is what you need to do with any broker you sign up with. They just need to know that you are the one signing up with them. Then you should deposit some money to trade with and then send me an e-mail from the Contact Me menu here on my page. When I receive this I will help you step-by-step to trade the way I do or the way you prefer. And you don’t pay me anything at all for my help. I will just help you avoid making the mistakes that many people usually do when trading the wrong way (including me, myself and I). But I have different strategies so you can decide how you like to trade. The traders following me are all trading in different ways and I keep helping them whenever they like my help. That’s what I like to do. I want all my following traders to earn money in trading. Because that’s the nice part. And maybe one day you will help your own friends in trading. If you want to have trading robots running your trades, then you need a computer running day and night monday to friday to open and close your trades. I use a VPS service where I can login to my account and manage my trades and see my robots trade. Actually I have so many different accounts that I am using 2 VPS services nowadays. But if you have a PC than can be up and running day and night during weekdays that would work as well. Actually I bought a cheap pc the other day that I will setup in a corner at home just for my trades. It will be running day and night all by itself taking care of my trades. You can also trade using a Mac, but there are some limitations on the free MT4 on Mac, but you can trade on a Mac as well. But I prefer my accounts on a VPS running day and night for me. They have packages starting as low as around $4/month if you sign up for a year. But you can always try them for 3 months if you like. But a different price then of course (right now around $10/month if you sign up for 3 months to try forex trading). But they are great as well. And they have great support if you ever need this. If you would like me to recommend something to start with, then it would be at least 600 (Euro or USD) with my recommended broker. This is usually good enough to be able to take some large moves on the market. I will give you one of the EA’s that I use on my own accounts and I will give you settings and recommendations on which pair/pairs to trade with this EA. I want to recommend a commercial recovery EA (145 USD) that I bought. It is a great protection to open trades that is moving wrong. Then that one will kick in and hopefully save a bad trade before it move too far away. And of course I will help you setting up that one with settings that I prefer. But of course, my help is free. I am here to help my traders. But best of all. Forex trading is fun. I really enjoy it. And hopefully we can help each other making some extra money. We are a couple of people trading here and we all help each other out with some tips and tricks. So you are welcome to join us. For free. There is also a Facebook Page if you want to read updates on my forex trading. Thank you Staffan. My account have been growing 10% every week since I started following your advice 3 weeks ago. It’s really simple. Now both me and my wife are trading Forex the way you do. Thanx a lot. I didn’t know it was this simple to earn extra money. Now I do. Thank you for your help. This was really easy and it is working great for me. You are also very kind helping someone like me who didn’t know anything about trading (translated from Swedish). This is fun. Just like you said. I even follow the trades on my iPhone and it makes me so happy when I see the account grow a little almost every day. This is a lot better than having the money in the bank. And it’s fun to see the account on my iPhone making the trades for me. Staffan I am very thankful for all your help in setting up my trading. You are very nice and your instructions are very clear. Even I understand how to do it. Can only say that I’m glad that my trades are going well and up all the time now, I’m happy and I’m following the progress all the time. Full speed ahead! This is fun. I understand a lot more about trading now and your help have been fantastic. You share so much info and explain things so even I can understand it. I am really happy for all your help.